It has the correct chapter ring and no “Made in France” text on the dial. We have had this watch in for a little maintenance work recently. I’m an amateur at this imgur stuff so sorry for the link. 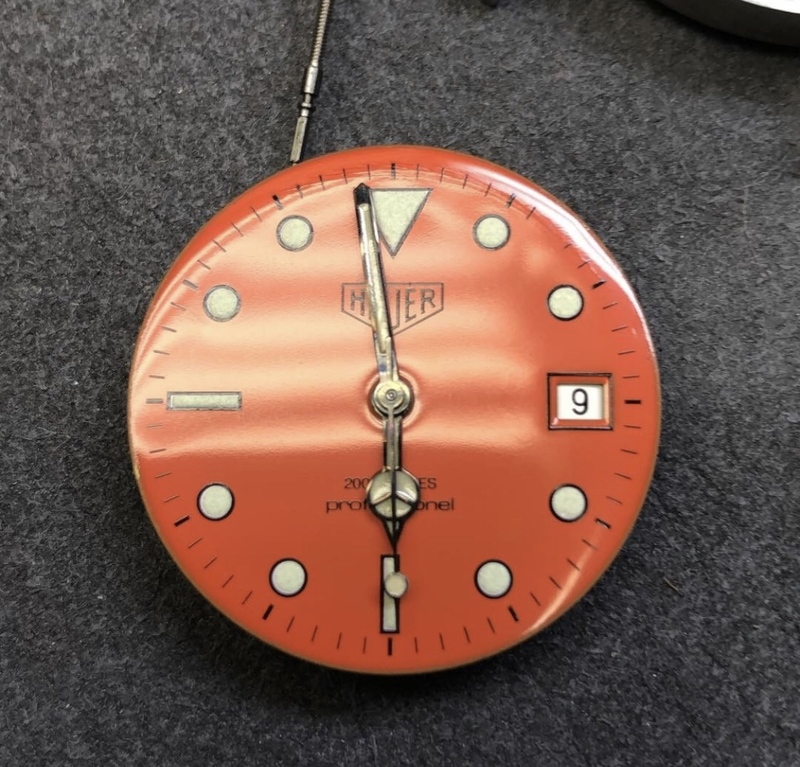 If someone did build this they used one of the rarest Heuer dials (non-Made in France, non-quartz, Orange Heuer dial). 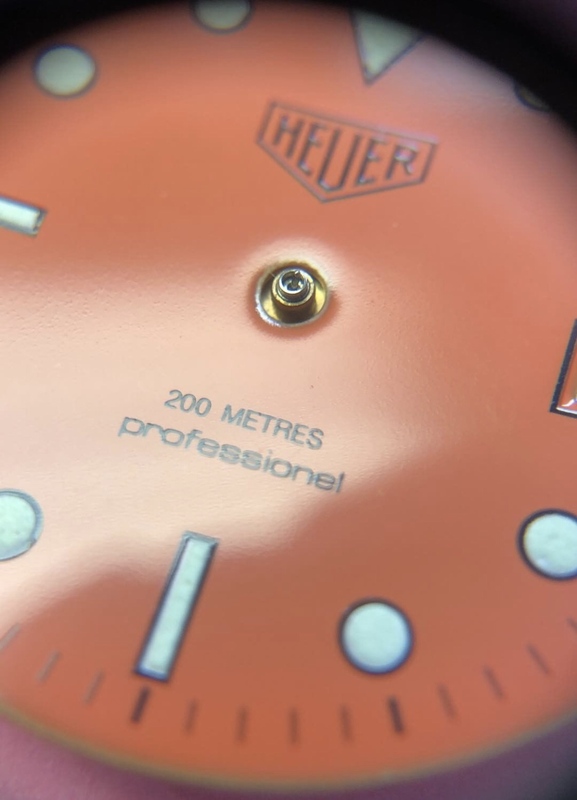 I saw nothing conflicting the idea that this is an original Heuer built watch. : these below the minute hashes on the bottom of the dial. : spelling along with Swiss Made on it. : it's a bit of a ghost.